Today is such a windy day, so windy that our power went off for 20 minutes and could possibly go out again. These 40 mile an hour winds can be scary but at least it is sunny and cool. Hopefully the day will be much better tomorrow! 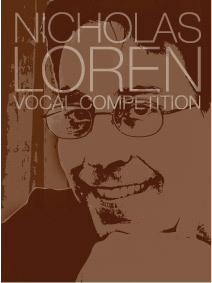 Tomorrow I compete with 24 singers in the Nicholas Loren Vocal Competition. I am very excited to perform becasue I will be singing a brand new aria that is nearly 5 minutes long. I have prepared and memorized and have learned SO MUCH from my new voice teacher than I have ever in the past 10 years. Ryan will be recording it so I look forward posting it here soon. Pray for me! It is hard for me not to mentally get nervous but I am also somewhat confident in my new techinque. I pray that God gives me the strength to sing my BEST! I wanted to leave you with a quick recipe for this weekend. I tried a gluten-free and vegan recipe yesterday that I loved! It is very fast and easy and requires a high-powered blender. I have LOVED my Vitamix, because it is in these type of recipes that I want to be ready to make something delicious. I ran across Lexie’s Kitchen through The Spunky Coconut’s website and saw a great recipe for gluten-free waffles. I immediately jumped at it since I had all the ingredients at hand. I started heating my waffle maker and I started mixing my waffle ingredients. Here is the recipe, ready to be made wither for dinner tonight or breakfast anytime this weekend! Cheers! Pour batter into heated waffle iron lightly coated with oil. Cook 5 minutes or to desired crispness. Mix all together and place on top of hot waffles and eat!